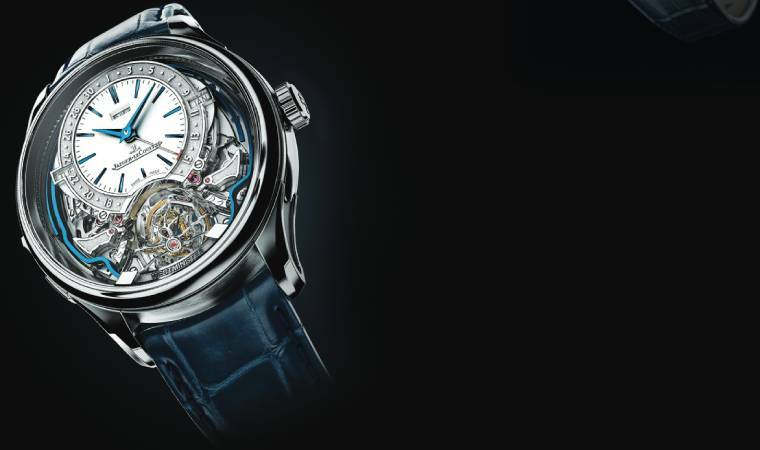 Jaeger-LeCoultre has launched the all-new Master Grande Tradition Gyrotourbillon Westminster Perpétuel, a spectacular timepiece that packs in an array of the grandest of grand complications. It masterfully brings high complication out of the watch safe and onto the wrist for your everyday enjoyment. Jaeger-LeCoultre celebrated the art of precision at SIHH 2019 with a unique and utterly spectacular timepiece that is packing in an array of the grandest of grand complications — the all-new Master Grande Tradition Gyrotourbillon Westminster Perpétuel. It features a comparatively smaller spherical gyrotourbillon which is the fifth multi-axis tourbillon created by JLC. A one-minute constant-force mechanism (also called the remontoir d'egalite) is further incorporated to provide consistent energy to the rather sensitive tourbillon. Next is the Westminster carillon minute repeater. As the name suggests and unlike any other minute repeater, this special one with patented gongs is programmed to replicate the chime of the popular Big Ben clock tower in London. A silent-reduction function is also built-in to further aid the melody cadence. The watch also offers a perpetual calendar that indicates the day, date, month and year. Unlike most date mechanisms on perpetual calendars that offer an adjustment option in only one direction, the Master Grande Tradition Gyrotourbillon Westminster Perpétuel provides more control and convenience by offering the option to adjust forward and backward. This is possible with the help of the manually-wound calibre 184 movement that clocks in a power reserve of 52 hours. What makes this watch so special is that all of the above mentioned features are beautifully squeezed into a very wearable 43mm white gold case that combines traditional haut-de-gamme finishing with modern and sleek aesthetics. It masterfully brings high complication out of the watch safe and onto the wrist for your everyday enjoyment. Available in two dial options — blue guilloché enamel or silver-grained — the Jaeger-LeCoultre Master Grande Tradition Gyrotourbillon Westminster Perpétuel is limited to just 18 pieces worldwide. 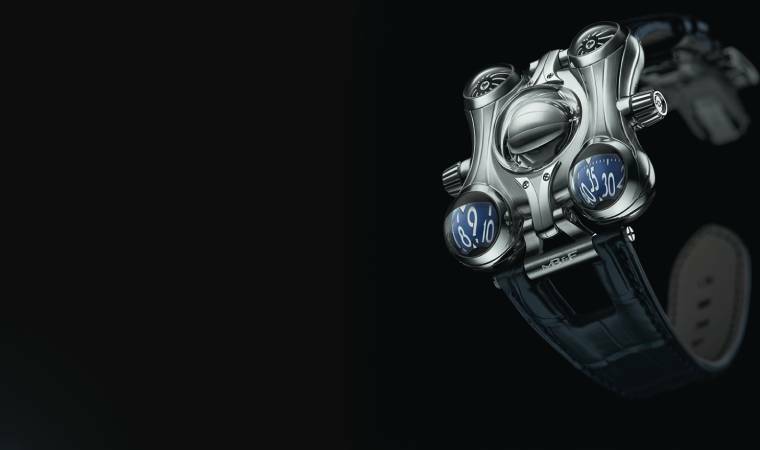 MB&F, which launched the Horological Machine N°6 Space Pirate in 2014, has announced the last and final version of the HM6 series — the HM6 Final Edition. The cosmic circle started off by the MB&F Horological Machine N°6 Space Pirate in 2014 comes full circle this year with the last and final version of the HM6 series — the HM6 Final Edition. It is the fourth Horological Machine that is offered by MB&F to mark the end of a particular series production. From the HM2 (2008-2011) to HM3 (2008-2015) and HM4 (2010-2013), they have all received their share of Final Editions. With the HM6 Final Edition available in stainless steel, MB&F furthers the tradition of producing the final edition of a series in stainless steel which was established during the production of the Final Edition of Legacy Machine N°1 in 2011-2017. The 49mm biomorphic stainless steel case is decorated with deeply grooved polished lines that give the impression of an intergalactic exploration. The animated 360° spheres are placed at the four corners of the case. The top forward two spheres display the hours and minutes while the spheres on the rear end house turbine pods that regulate the automatic winding system working within. Additionally, the cupola on the top features a flying tourbillon that offers a generous and tantalising glimpse of the 475 component, highly complex HM6 engine that took MB&F three years to develop. Strapped to a hand-stitched alligator strap and a custom-designed stainless steel buckle, the HM6 Final Edit ion puts forward a beautiful example of a watch inspired by a "retro-modernist take on space travel and technology". Keeping its promise of creating just 100 movements for the radical Horological Machine N°6, the series to date features 50 titanium and 18 red gold pieces of HM6 Space Pirate, 10 pieces of HM6-SV in platinum, 10 pieces in red gold, and four unique pieces in the Alien Nation edition. Add to this the eight pieces of the HM6 Final Edition, and the result is 100! A supernova finish to a series that belongs in the stars, wouldn’t you agree? 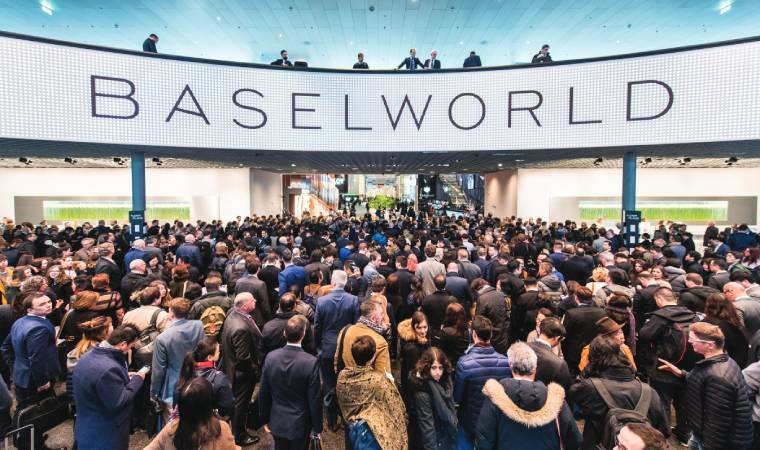 Watch and jewellery's two biggest shows in the world — Salon Internationals de la Haute Horlogerie (SIHH) and Baselword — have announced that they will once again be held back-to-back from 2020. Watch and jewellery's two biggest shows in the world — Salon Internationals de la Haute Horlogerie (SIHH) and Baselword — have announced that they will once again be held back-to-back from 2020. With an agreement set to extend till 2024, SIHH will be held in Geneva between April 26 and 29, while Baselworld will take place in the city between April 30 and May 5. Fabienne Lupo, President and Managing Director of the Fondation de la Haute Horlogerie, which organises SIHH, stated: “Our two events have always been different, yet complementary. Re syncing with Baselworld will further confirm Switzerland as the foremost destination for watchmaking in the world." This announcement comes on the heels of numerous brands dropping-out of Baselworld with some either joining SIHH while others choosing to showcase their watches to retailers and press independently. Now with both the shows occurring one after the other, it enables the press and retailers to attend both major watch fairs instead of choosing to focus on just one which was the case earlier. The synchronisation of the two fairs also reaffirms the industry's efforts to come together during a challenging time.